Many holidaymakers will be familiar with Malaga airport, as they pass through on their way to the resorts of the Costa del Sol, but not with the city itself. That’s a great shame, writes John Monaghan, who was won over by Malaga’s mix of vibrancy, history scenery and food. I’M NOT a betting man but if I was, I’d confidently put a large wager on odds predicting that you’ve flown to Malaga airport, but never visited the city of Malaga. 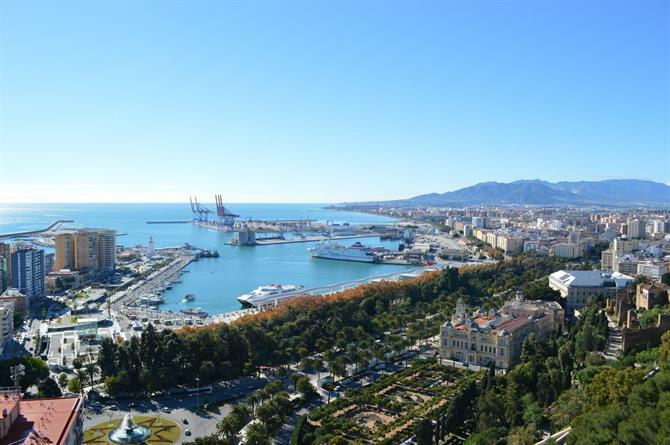 Much greater fanfare surrounds Marbella and outlying areas, which have traditionally been the destination of choice for many British and Irish tourists, but if your only view of Malaga has been the airport and the roads, then you have been seriously missing out. The hidden gem of the south of Spain, Malaga, the country’s sixth largest city, offers a host of attractions and activities and comes with guaranteed good weather and superb food to boot. More than a million tourists visited the city last year alone, with more than 500 cruise ships docking at its port. The birthplace of artist Pablo Picasso, the city boasts one of only three museums in the world dedicated to the painter. Picasso enthusiasts can also visit the artist’s birthplace in the centrally located Plaza de la Merced. And if Picasso’s works have wetted your artistic appetite, then you can head over to the Pompidou Centre, the first in the world outside of France, right beside the aforementioned port. Named after former French President Georges Pompidou, the centre was created to offer a platform for artists of all genres to showcase their work, with displays rotated every two years. A visit to the Alcazaba, the hilltop fortress in the centre of Malaga, provides not only stunning views of the city and its coastal hinterland, but also a glimpse of life in Andalusia’s Muslim past. 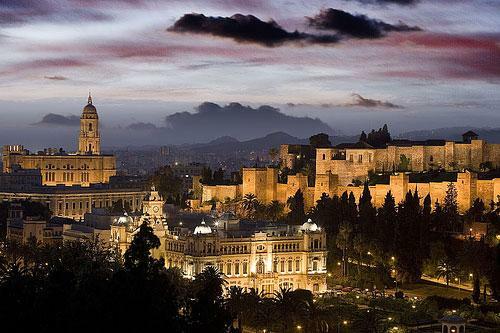 Built by the Hammudid dynasty in the 11th century, it is the best-preserved Moorish citadel in Spain. No visit to Malaga would be complete without a trip to the city’s grandiose cathedral, in Calle Molina Lario. The cathedral, which was a mosque during the period of Arab settlement in Spain, boasts stunning architecture and religious artefacts; it underwent a partial restoration after being damaged during the Spanish Civil War of the 1930s. I’d recommend lunch at El Palmeral restaurant, on the port beside Plaza de la Marina, where you can work your way through six (yes, you read that right) courses of delicious Spanish cuisine. After that you may or may not be fit enough to carry on sightseeing, if you don’t require a short siesta. To the south of the cathedral, el Paseo del Parque offers a tranquil break from all the hustle and bustle. Here you can have a quiet meander in the afternoon sunshine or there are benches in the shade if you need a rest, a read or a chat. Alternatively there’s Malaga’s imposing bull ring, La Malagueta, where you can relax in the stands with a drink as you watch the next generation of bullfighters practice their moves. While a graveyard may be the last place you want to visit on holiday, the English Cemetery, located just behind the bull ring on Avenida Pries, tells the tale of an entirely different Malaga. The cemetery was opened in the 19th century after persistent efforts by British consul William Mark as a resting place for Protestants – who had previously and controversially been buried upright on the seashore, non-Catholics having until then been refused a Christian burial by the Spanish authorities. Those buried in the cemetery include Gerald Brenan, the renowned English writer and Hispanist, and Derry man Robert Boyd, who was executed in 1831 after playing a leading role in the failed uprising against monarch Ferdinand VII. On our trip, we dined in the evening at El Pimpi, a traditional Spanish eatery opposite the Alcazaba, which provides a choice of tapas, fish and meat dishes. Situated inside an 18th century mansion house, the restaurant is apparently a favourite haunt of Antonio Banderas, among other stars. After two days in Malaga, we headed to Puerto Banus, an hour’s drive south west, the perfect location for swimming, shopping and people watching. With an extensive marina and beach, the afternoon can be spent soaking up the rays on the sand with a book by your side. Puerto Banus has gained a reputation as a playground for the rich and famous – not the criteria under which I gained entry, you understand. If you’re seeking a child-free break, Hotel Andalucía Plaza is the solution, with an-adults only policy, a spa and free entry to Marbella Casino for all guests, all situated just half a mile from the beach. The four star Hotel Melia, located around five miles drive from the centre of Marbella in nearby San Pedro de Alcantara, attracts a few of the stars, with a presidential suite boasting a private pool and a panoramic view of the Costa Del Sol. For a unique feel of Andalusia, a day trip to the historic and picturesque town of Ronda is a must – it’s easily accessible at just an hour’s drive north of Puerto Banus. Perched above a deep gorge and home to one of the two oldest bullrings in Spain, Ronda is the real deal, with winding cobbled streets and plazas, traditional white houses and centuries-old churches. It also affords visitors spectacular views of the surrounding countryside. To the north of the town lie vinyards – there are eight or so wineries within a few miles of Ronda, including Bodegas Morosanto, which produces more than 60,000 bottles a year. Tours and tastings are available, with each stage of the process explained and explored – a wine lover’s delight.